Securing student housing in Tempe or ASU can be a lengthy and complicated process. Like any college housing, there is no guarantee that you’ll get a well maintained, safe and reasonably priced place to live. As the parent of an ASU college student, housing should be the least of your worries! When you choose to secure housing through Kevin Kirkwood, who is a Tempe property management specialist at KRK Realty & Management, you can feel better. Experience – Kevin Kirkwood has working with Tempe rental houses and ASU students since 1998. 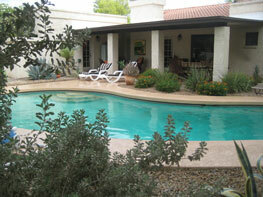 All-inclusive Fee and Services available – We provide pool and lawn services built into the rent amounts. We believe college students will have more time to study if they do not have to worry about maintaining their pool and yard. Also we have made it easy for a tenant to submit a maintenance request online and try to address their issues quickly. Process is straightforward – We begin our leasing process very early. This allows for students in second semester to secure new housing for the fall semester. 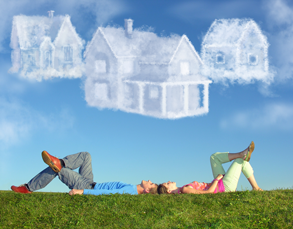 We begin showing our homes in March for July and August move in’s. Personal Safety and privacy – The high-rise and apartment settings condense the number of individuals in a small area. You are literally sharing walls with people you don’t even know. In a single family home you have space between you and your neighbor plus convenient parking. Ease of securing the lease – While we vet the actual tenants, we understand that most college students have no real income, so we allow guarantors to secure the lease financially, even though that person will not actually be a resident. 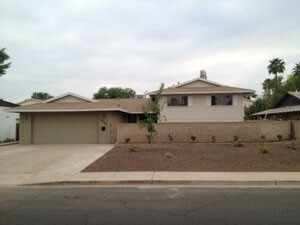 Competitive rent – An available Tempe house like the one shown here, ranges from $1,500-$4,000. Secure housing for the school year- You don’t have to wonder, or speculate if you’ll have housing for each semester. No new roommates and you don’t have to move out in between semesters. Understanding college property management needs- We understand that circumstances change with students. While we don’t allow sub-leasing, we do allow students to find a suitable tenant to take their place at the resident. Kevin Kirkwood and KRK Realty & Management have a special affinity for ASU students. When you are securing housing for yourself or your student in Tempe, AZ, you can rest assured the housing we provide is top notch and safe for ASU students. Contact us now. 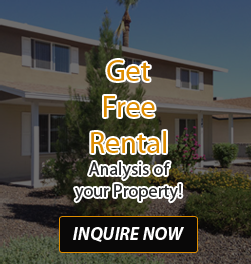 We hope you hire us as your Tempe property management company.